Stop hiding behind cross-browser compatibility issues, and launch a counterstrike. Tame those advanced CSS selectors; learn your way around CSS3 media queries; pioneer the field of CSS3 keyframe animations. 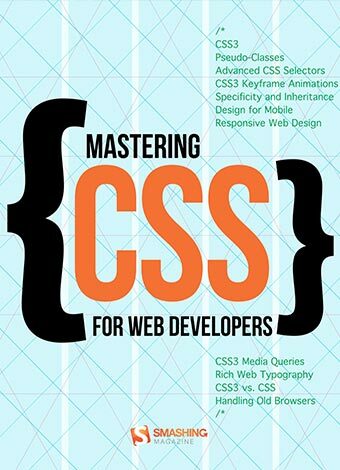 Get in the game, and learn how to use advanced CSS typography, CSS3 pseudo-classes and modern CSS layouts, while devising back-up solutions for older browsers. Many Web designers are reluctant to embrace the new technologies such as CSS3 or HTML5 because of the lack of full cross-browser support for these technologies. Many designers are complaining how this situation is holding them back and tying their hands.